Unlike ordinary queues, a priority queue allows to insert an object with priority so the highest priority objects can be drawn first in FIFO (First in first out) manner. Once objects with highest priority are fetched, objects with second highest priority can be fetched. There may be many ways to implement priority queues but most efficient one is using heaps. Insertion can be done in heaps in log n time and we will do Enqueue and Dequeue operations here in log n time. 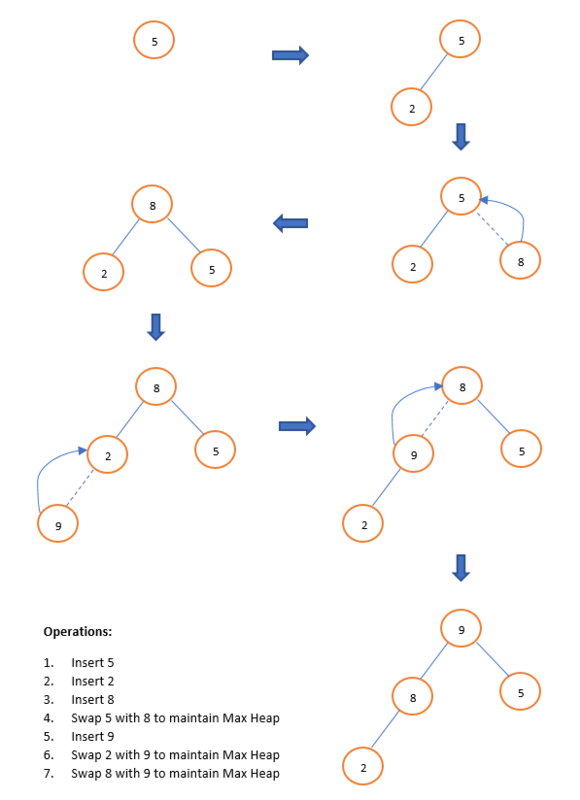 MaxHeapify and MinHeapify methods we have learned in previous article heap sort. We know these functions are required to maintain max and min heaps. We will call these methods in each deletion. Two methods BuildHeapMax and BuildHeapMin we will call in every insertion to make sure Heap property is maintained. Enqueue method first inserts object in list then calls BuildHeapMax or BuildHeapMin methods based on whether queue is Min-Queue or Max-Queue. Dequeue method returns first object in queue and places last element at first then it calls MinHeapify or MaxHeapify methods to maintain heap. We can see above output is prioritized. There are two additional methods UpdatePriority and IsInQueue I would like to implement. Above methods can be used to update priority of an object and finding an object in queue. This priority queue can run in O(log n) time where ordinary queues run in O(1) time. 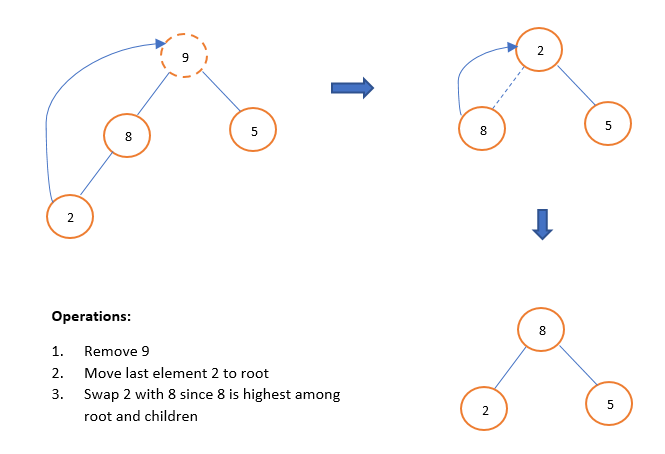 Priority queues are required in some of graph algorithms like Prim's Minimum Spanning Tree and Dijkstra Shortest Path. There are other uses of priority queues like priority operations in Operating Systems.